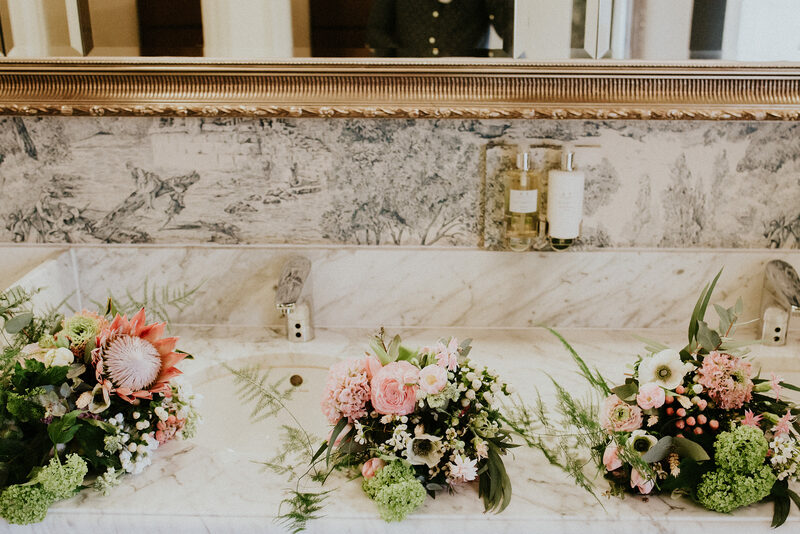 Keziah & John’s wedding at The Mansion was a truly stunning affair, captured beautifully by the very talented Ryan at Shutter Go Click Photography. Selecting pictures from the hundreds provided by Ryan, was a really tough job as they were all totally stunning! 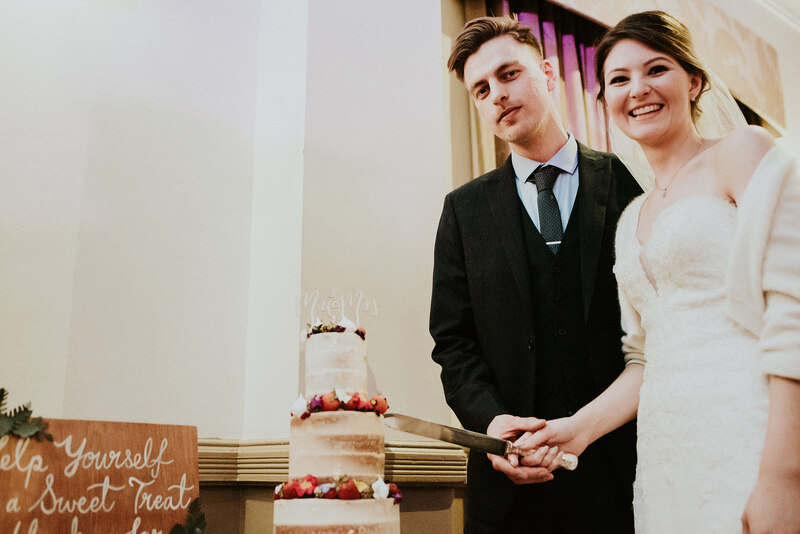 Keziah, aged 30, Retail Manager & John, aged 30, Nurse, both live in Leeds – they first got in touch with us in January 2016 and soon after, booked their wedding at The Mansion. 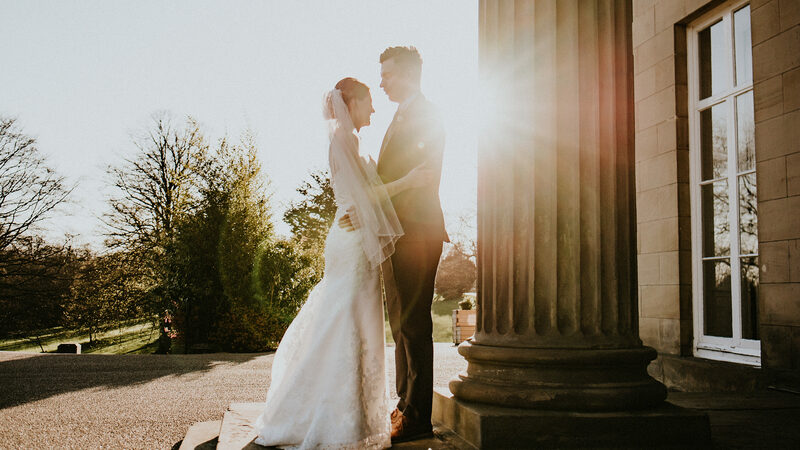 Date and location of wedding – why did you choose The Mansion? 7th April 2017 at The Mansion, Roundhay Park, Leeds. John is from Leeds and I’ve been here for 12 years now so we knew we would get married in Yorkshire. 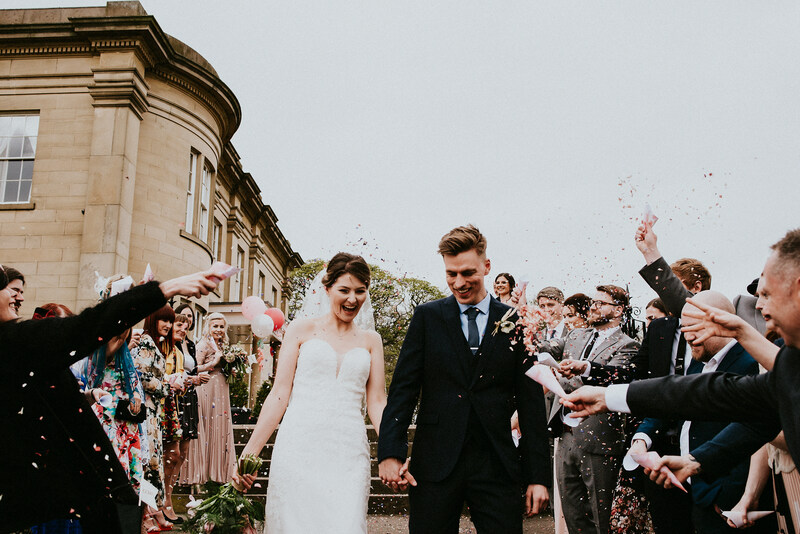 We’ve spent many afternoons exploring Roundhay Park so we knew what a stunning backdrop it would be for our Wedding. Saltburn by the Sea has always been a special place in our relationship…..John would go on numerous family holidays there when he was younger and when we met, I was lucky enough to be introduced to such a wonderful place. The two of us had gone to visit for a few days and we always do the rounds of all the beautiful surrounding areas. We visited Staithes – a picture postcard village where we’d had a picture taken a few years earlier, on a hill looking down into the village. John took me to the top of the hill and handed me a small wooden box with our initials and the date engraved into it. My dress was a Kenneth Winston from Scarlett Poppy in Pudsey. I went to quite a few shops around the Leeds area and Scarlett Poppy was the last of my local appointments, by which point I’d resigned myself to looking further afield. It was actually my Maid of Honour who spotted this particular dress and despite loving the beaded detail and sheer panel, I was unsure about the skirt so initially bypassed it. She encouraged me to try it on and I thought the top was so beautiful that I couldn’t resist. We ended up having the netting taken out of the skirt to make it less structured and give it a more ethereal feel. 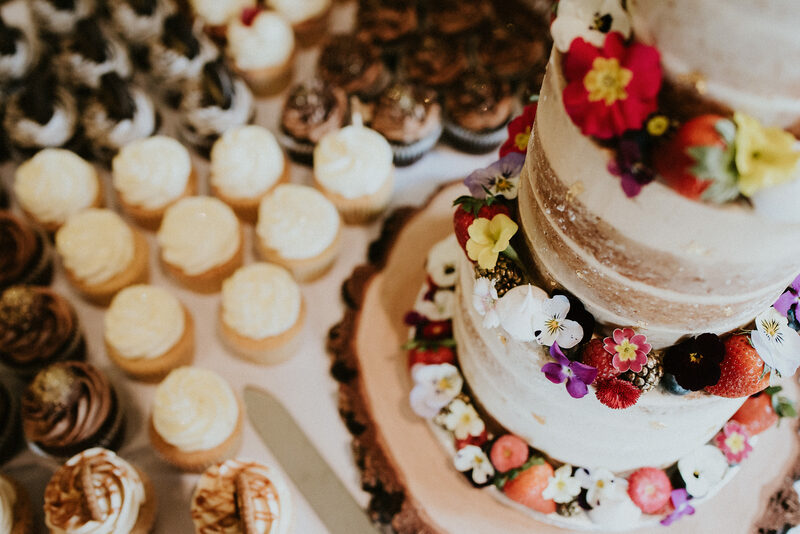 We always knew we didn’t want a traditional wedding cake with icing and fruit, and we love the look of naked cakes. 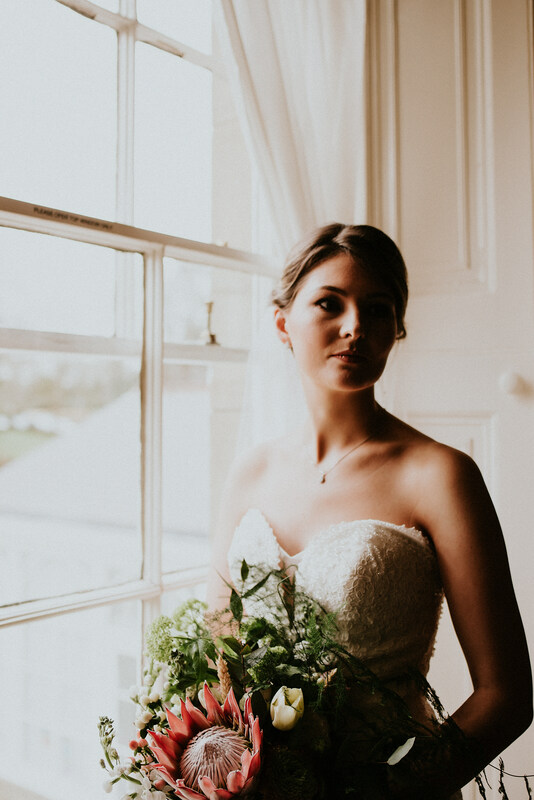 It was by chance that we found Miriam of Wildflower Bakery, as she appeared on the ‘explore’ tab of my Instagram which is tailored to pictures I’ve liked. The colours of the edible flowers were stunning and when we saw the flavour options that cemented our choice! We also requested cupcakes as you can never have too much of a good thing. Ryan of Shutter Go Click. I don’t know if we even have words to describe how much we fell in love with Ryan’s photography. Every single aspect of it was stunning – the emotion that he captures in his pictures and the way he incorporates nature just blew us away. After our initial meet up, a love of coffee amongst other numerous other things assured us we’d made the right choice. 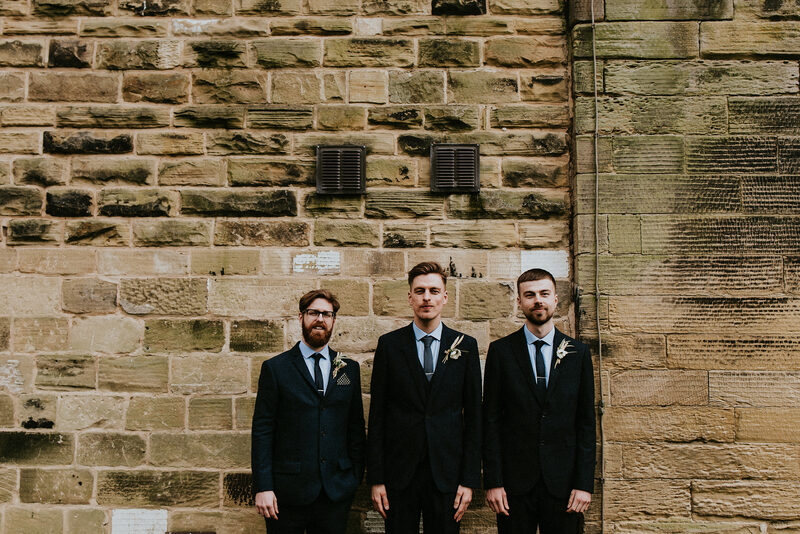 John and his Groomsmen bought suits from Next. We agreed upon a blue colour palette and let everyone pick their own shade and print. Campbell’s Flowers in Sheffield. 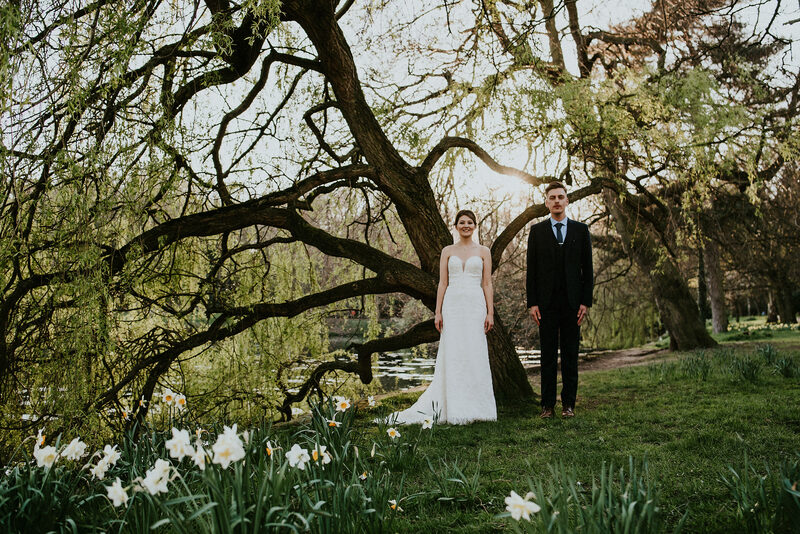 Because we were having such a hard time finding suppliers we liked, once we’d found Ryan we looked through his galleries and came across Tracey Campbell. We wanted our flowers to have a natural, almost ‘just picked’ look to them and she knew exactly what our vision was. Lots of foliage, different shades of pink and almost wild looking. She even managed to incorporate my favourite flower – anemone. Everything was put together by ourselves and friends. 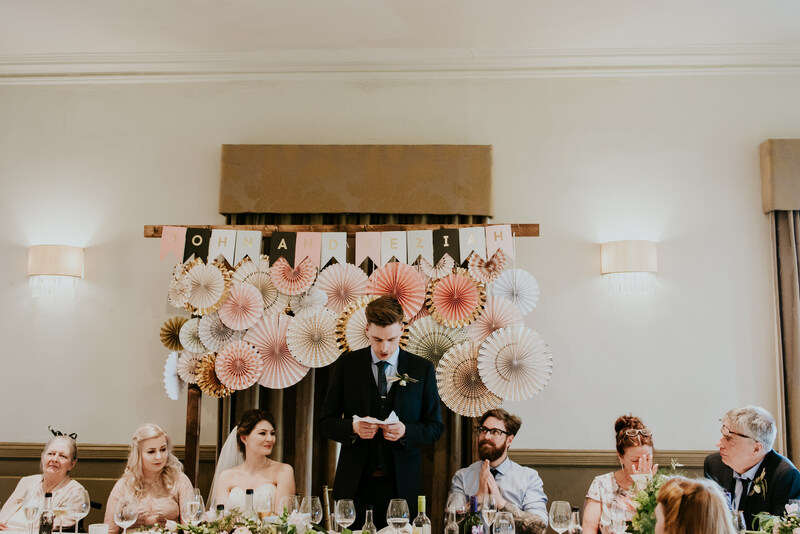 We had a friend design all of our personalised wooden signs, stuck to a pastel colour palette and bought decorations as and when we saw things we liked. Everything was done the day before so there was a brief period of hoping that everything would match but it all pulled together perfectly. Both being vegetarian, we had to consult our family for help with the meat options. 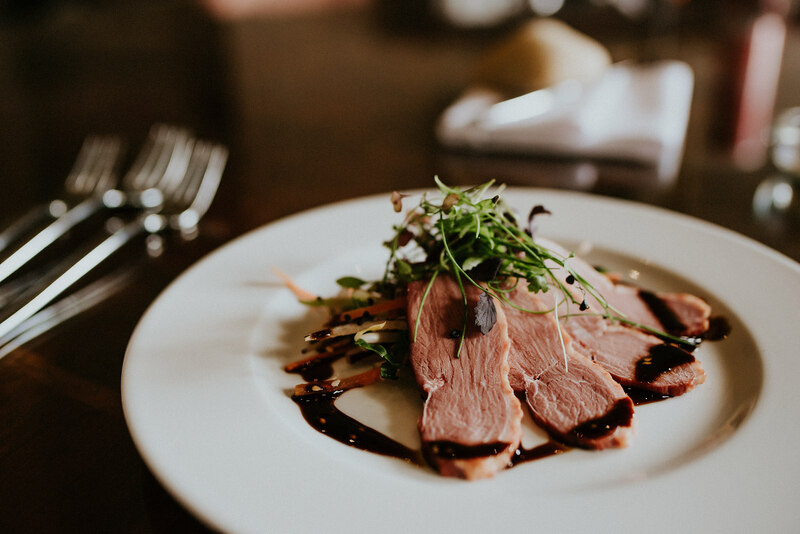 We had the Oriental Duck Salad as a Starter, Lemon Salt Roasted Chicken for the Main and Chocolate Brownie for Dessert. Our Vegetarian options were fantastic and it was so refreshing to have such a varied choice. 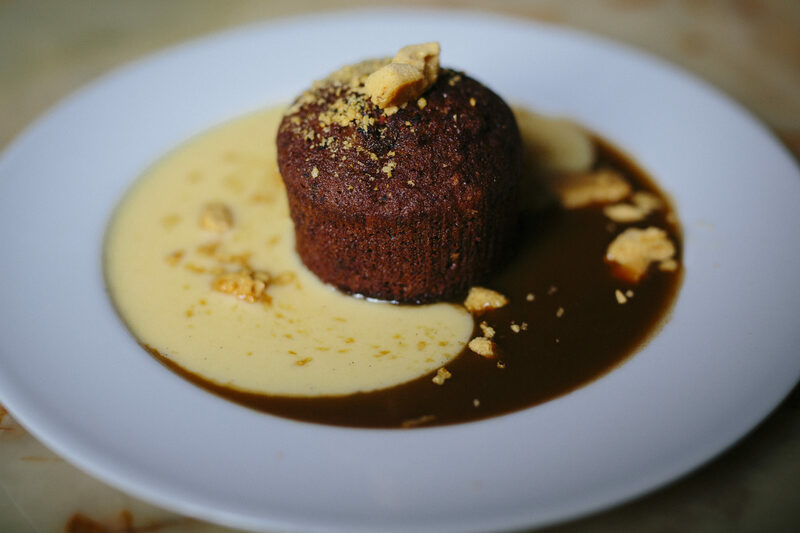 The quality of the food and level of service was complimented several times throughout the night. Hair was by Julia Jeckell – I was quite laidback and my Bridesmaids chose themselves how they wanted their hair. Nothing phased Julia, even when we traipsed in on the morning with flower clippings that we’d decided we wanted in our hair! 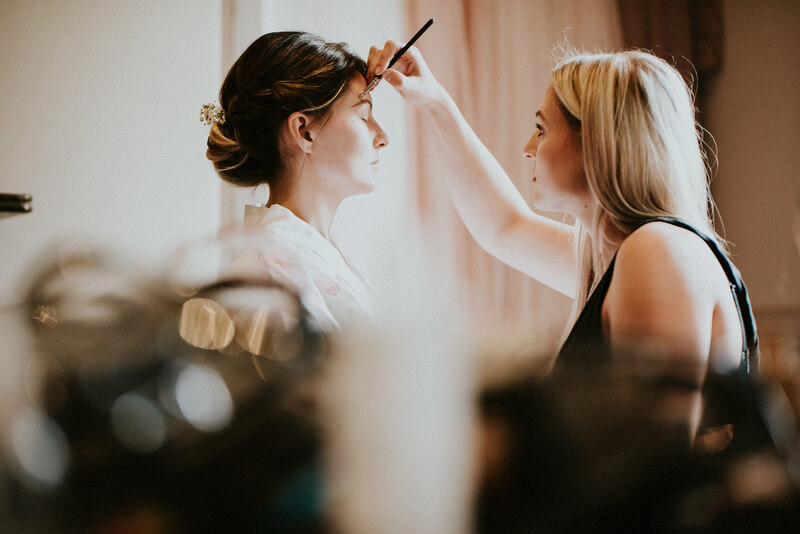 Make up was by Lauren Uttley – Lauren and her sister did a perfect job on everyone’s make up. We all felt like an enhanced version of ourselves. We felt totally at ease with them both and they were super calm and professional. No transport as my Bridesmaids and I got ready at the venue. Music is such a huge part of our lives and it was really important that we made the right choices. 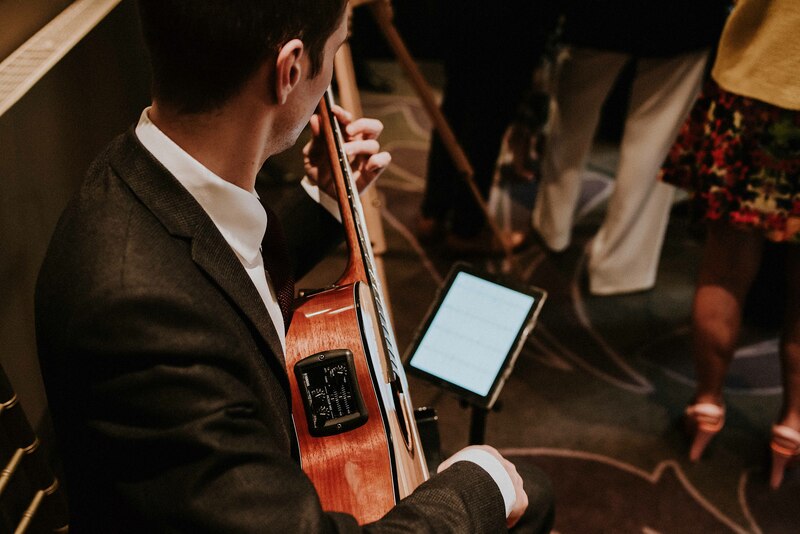 Ed Peczek – an acoustic guitarist provided the music during the day time and for whilst I walked down the aisle. The music was beautiful and I even snuck halfway down the stairs just before the ceremony because I was so captivated. We booked The Courts for the evening Reception, who travelled all the way from London. 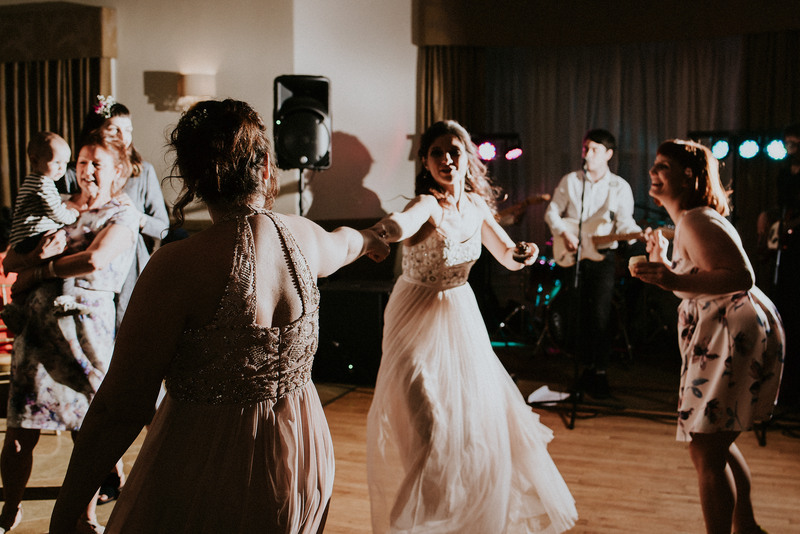 Every song on their set list we loved and they had everyone on the dance floor. Definitely the right choice. There were so many touching moments but my absolute favourite was when we were signing the Register. Everything felt so surreal but as soon as we sat down ‘I Need My Girl’ by The National started playing. It was so apt and perfectly timed that I was completely overcome with emotion and it defined how much the whole day meant to us. Without a doubt. From the very beginning we felt so welcomed by the team and they made the entire experience wonderful. The attention to detail throughout and such impeccable organisation made our Wedding Day flow perfectly. 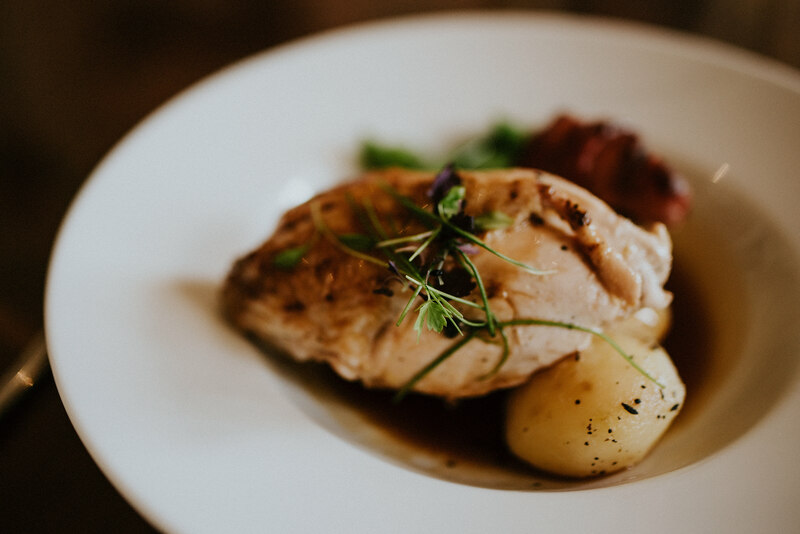 The food was outstanding, along with the service. Craig and Harriet In particular were fantastic. I’ve been obsessed with America since I was young and I’ve passed my love of it onto John. We knew without a doubt that we would be going there for our honeymoon and decided to make the most of it by travelling along the West coast. We’ll be flying out to San Francisco, renting a car and seeing where our travels take us. 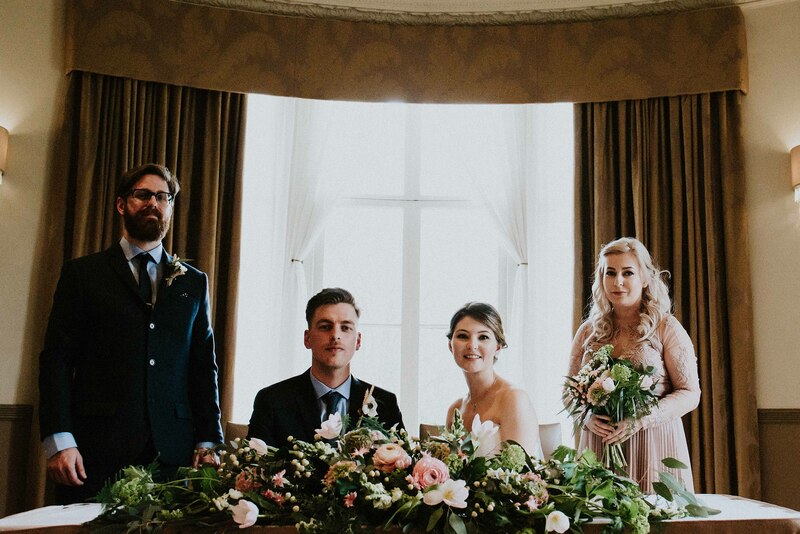 We hope you enjoyed reading about Keziah & John’s wedding at The Mansion, as much as we enjoyed being part of their event.